Daily Illuminator: JoCo 2016 Announcements: Munchkin Pathfinder Guest Artist Edition And Munchkin Tavern! February 23, 2016: JoCo 2016 Announcements: Munchkin Pathfinder Guest Artist Edition And Munchkin Tavern! This week, some lucky members of SJ Games are basking in the sun and fun of the JoCo 2016 Cruise, playing games with some of the coolest music, gaming, and comedy personalities in the world! But we won't let you guys miss out on the fun announcements being made on the cruise! 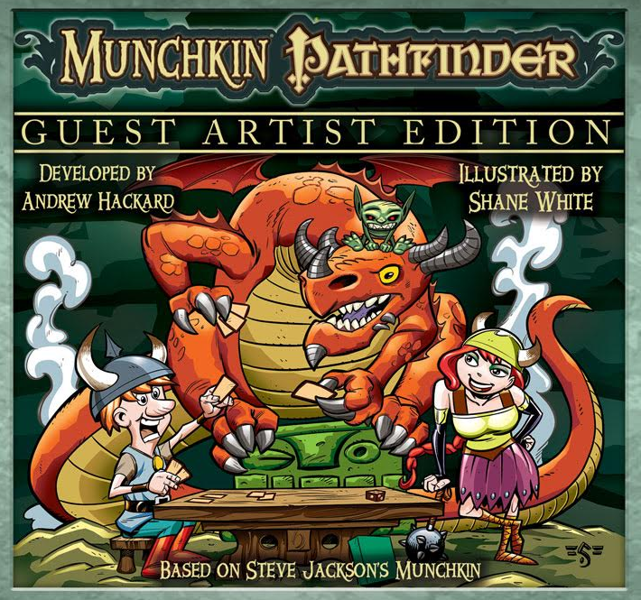 The newest announced member of the Guest Artist Edition line, Munchkin Pathfinder Guest Artist Edition takes the goblin fighting, dragon slaying, giant-sword wielding action of the original game, and pairs it with the unique artistic styling of Shane White. Shane is an author and artist who has worked on comics like Pathfinder: Goblins, Bad Karma, and 1 Month 2 Live. His experience with goblins comes in mightily handy considering this game is filled to the brim with them! We also teased about our Munchkin Tavern, our HQ at GenCon 2016, August 4th through the 6th. You can come by the Tavern to play the latest Munchkin games and get unique loot, like our Munchkin Tavern tumblers and T-shirts. The Tavern has a special themed menu as well! 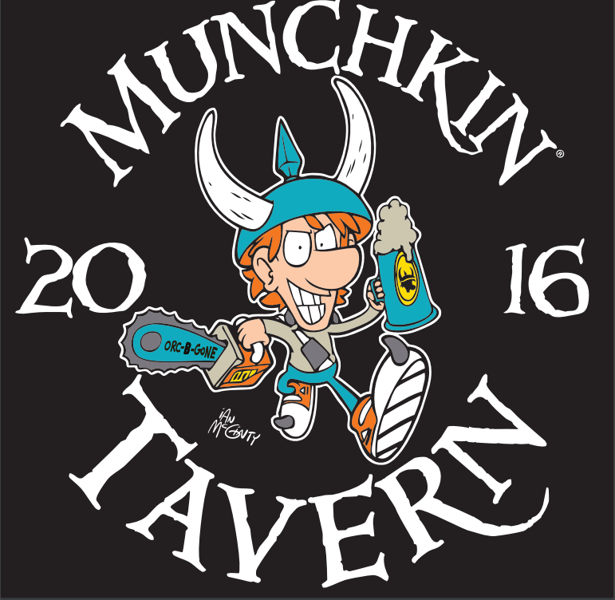 We'll have more info as the event gets closer, but for now we have a sneak peak of the our Munchkin Tavern 2016 logo. If all these announcements on a sweet cruise vacation sounds amazing, then you may also be interested in attending JoCo 2017! It's fills up fast, so book early to make sure you can be there. We'll see you on one of the seven seas!